Sweetness factor: Sugarbeets account for around half of domestic sugar market - Seedex, Inc.
SCOTTSBLUFF — The sugarbeet is a relatively modern field crop, having been developed in Europe in the late 1800s. Sugarbeets were derived directly from fodder beets which are commonly grown for livestock feed, however, today sugarbeets account for roughly half of the domestic sugar market. 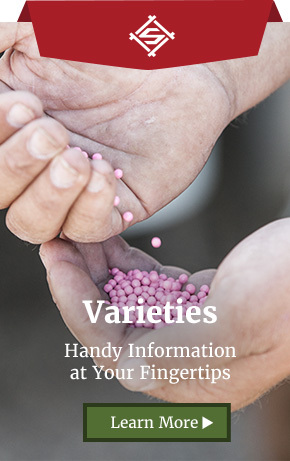 It has been a decade since the introduction of the first Round Up® Ready Sugarbeet (RRSB) varieties, which have been genetically engineered to be tolerant to the herbicide glyphosate (Round Up® “Roundup”). 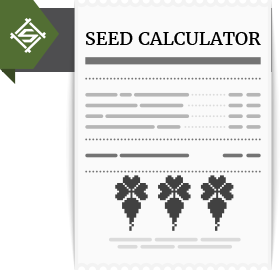 Since deregulation in 2005, RRSB have been widely commercialized in the United States, and according to the USDA, in the 2009-10 crop year, RRSB varieties accounted for about 95 percent of planted sugar beet crop. While sugar made from genetically modified (GM) sugarbeets is chemically indistinguishable from sugar made from non-GMO beets, RRSB’s ability to tolerate glyphosate allows growers to make fewer pesticide applications, meaning less diesel fuel is used and more residue can be left on the field, which both prevents erosion and helps sequester carbon from the atmosphere. However, in 2016, Congress passed a law requiring mandatory labeling of products containing GM ingredients. The USDA has been given two years to develop rules for how those products are labeled, the deadline for which is this year. U.S. farmers produce sugar crops that meet about 90 percent of domestic sugar demand, and the remaining 10 percent is imported. About half of the domestically produced sugar is extracted from sugar beets, with the other half extracted from sugarcane; the United States being one of the few countries that produces both of these sugar crops. Beets are grown in cooler northern states while cane is grown in warmer southern states. 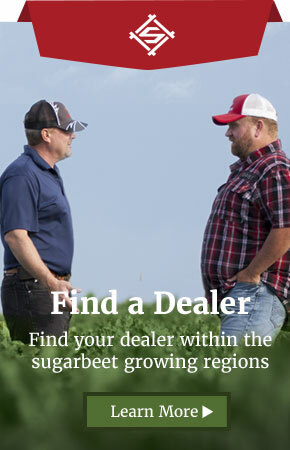 Each year U.S. farmers grow sugar beets on more than 1 million acres in the states of Michigan, Minnesota, North Dakota, Nebraska, Wyoming, Colorado, Idaho, Washington and California. According to the USDA’s 2018 Sugar and Sweeteners Outlook released this week, increased domestic production has raised supplies and projected ending stocks for 2017/18. The report says the February World Agricultural Supply and Demand Estimates (WASDE) lowered projected 2017/18 sugar use by 75,000 short tons, raw value (STRV), due to fewer expected domestic deliveries for food and beverage use. Projected total supplies are also lowered by 57,000 STRV, as reduced beet sugar production and cane sugar production from Florida eclipse the increase in cane sugar production in Louisiana. Projected ending stocks for 2017/18 are increased by 18,000 STRV, resulting in a stocks-to-use ratio of 14.6 percent. United States remain unchanged from the previous month. Ending stocks are lowered 19,000 MT, and the stocks-to-consumption ratio remains at 22.0 percent. The USDA’s long-term projections for U.S. sugar markets show increasing production in both the beet sugar and cane sugar sectors, but not at a high enough rate to meet the growth in domestic deliveries. As a result, projections are for a growth in imports along with relatively tight markets that support price levels. Mexico is also projected to increase sugar production. Growing domestic deliveries are projected to constrain the amount of sugar available for export, meaning that the United States is expected to need additional imports to maintain adequate domestic supplies.